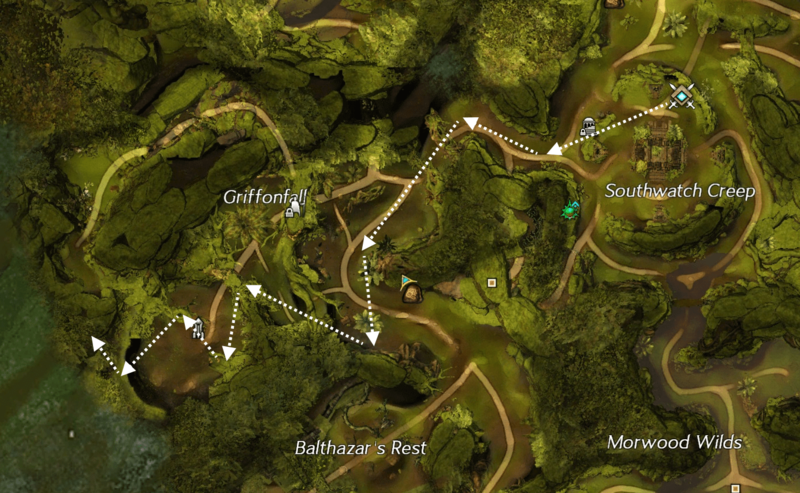 The closest waypoint to the Hidden Amphibian’s location is Southwatch Waypoint. 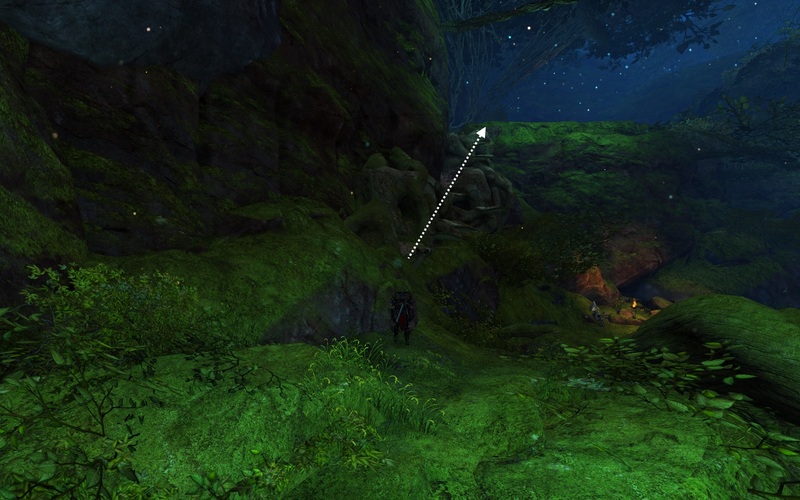 Starting from this waypoint, follow the path West and then South until you get to a bouncing mushroom at the bottom of a ledge. Use the mushroom to access the upper ledge. 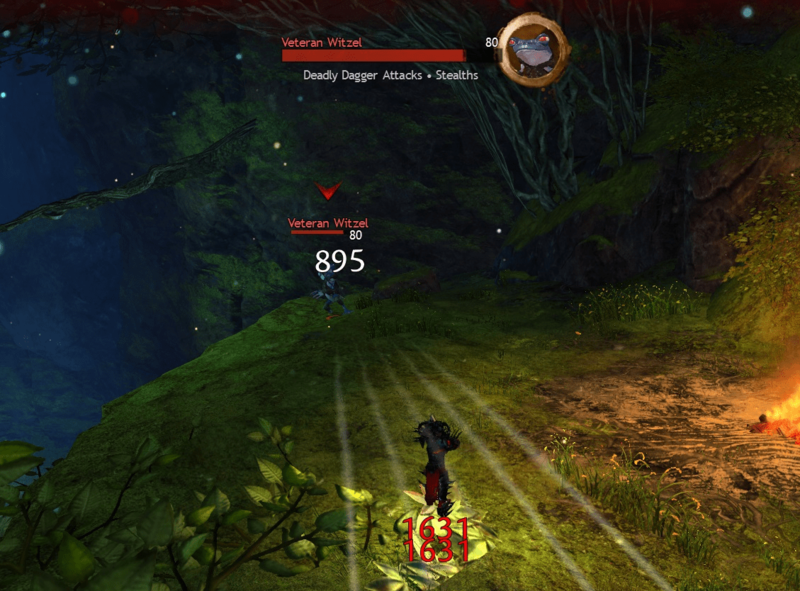 After reaching the ledge, turn around and glide into the nearby updraft. Once you’re airborne, navigate through the next two updrafts as you make your way over to the Western barrier-ledge. 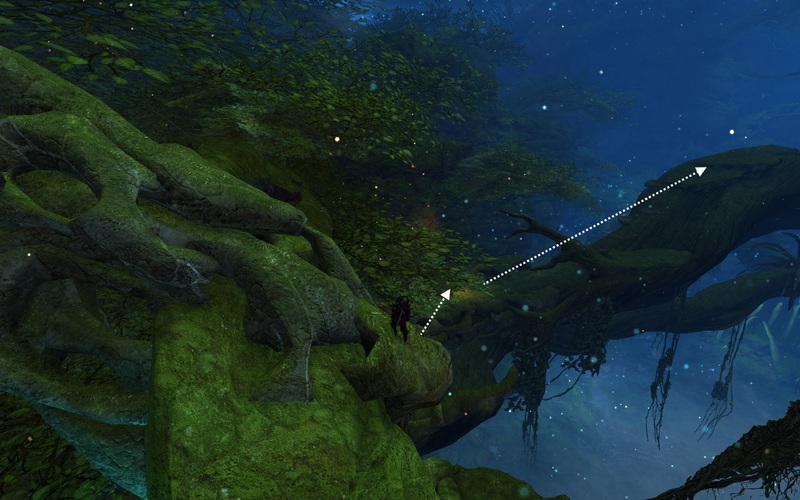 Land near the tree root area of the barrier and jump over to the small ledge to your left. 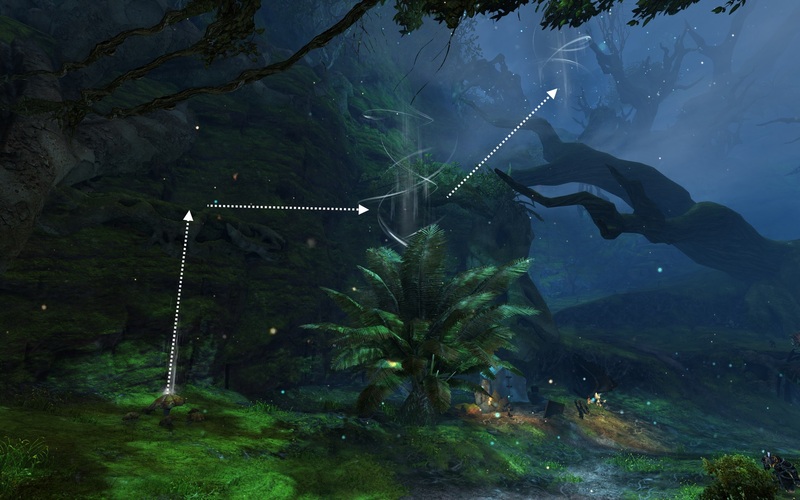 Next you’ll need to glide over to the large horizontal tree located near the middle of this area. 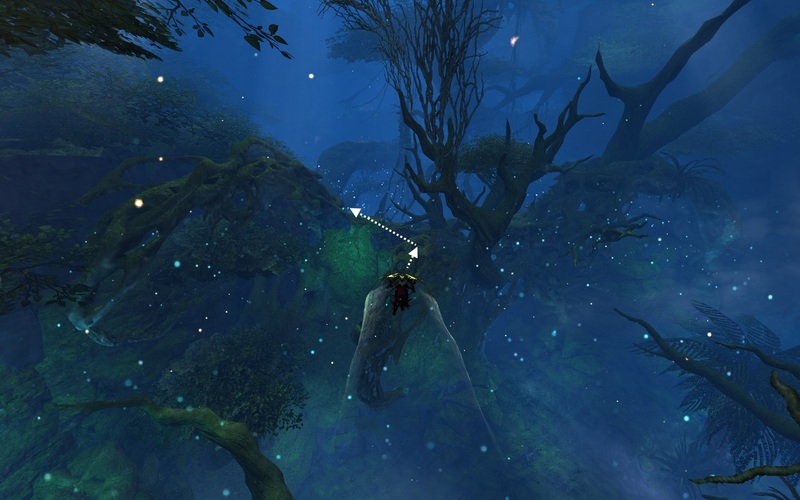 Jump up onto the tree and then glide over to the next ledge straight across, to the West. 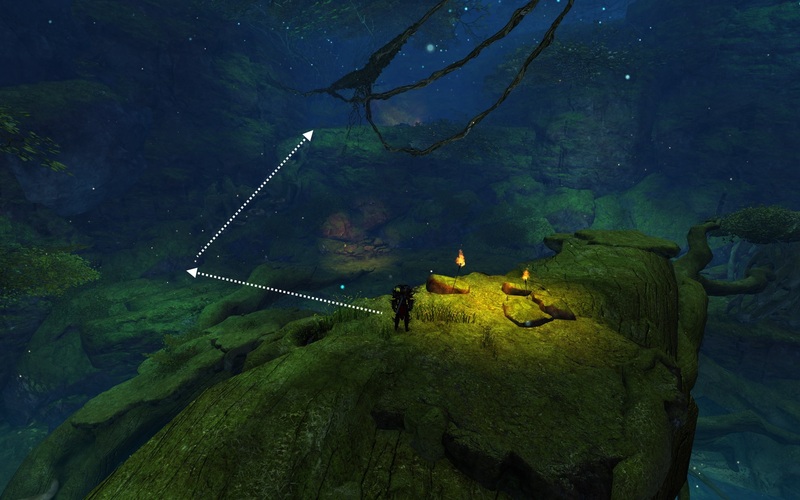 Climbing up the nearby mushroom path will take you to the location of the Hidden Amphibian. 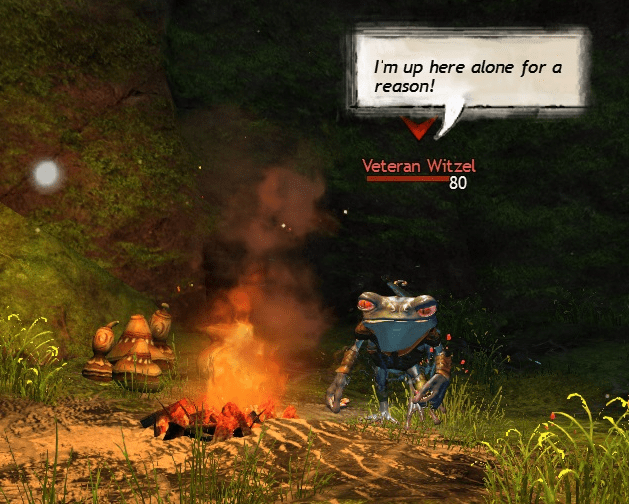 You’ll find him sitting next to a camp fire, whittling intently. As you might guess, he won’t be to happy to see you. Defeating him is pretty straightforward. His main attack is a dagger throw, and he’ll occasionally go into stealth, but otherwise it shouldn’t take more than a minute to put him to rest. If for some reason the Hidden Amphibian is not at his spot when you visit, try coming back a few minutes later and he should spawn.